On the heels of what's happened in Paris and in other places in the world, my heart just feels MORE tied to my life's work of teaching solid social-emotional skills, kindness, compassion and understanding. It's our only hope, as far as I can tell. Peace starts at home and ripples outwards. If pictures, memes, You Tube Videos, dance moves and music can go viral via social media, why can't peace? I know this is an oversimplification, but it's a start. And I know that together we will just put a dent in it, but we have to do something. How about if we facebook, instagram, tweet and pin our kids and families doing kind, compassionate and uplifting things? 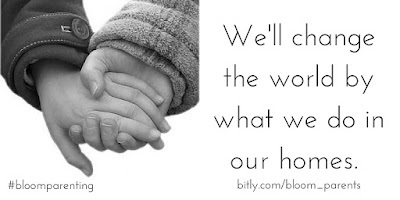 You know...sharing, helping, honoring, assisting, listening, being patient/waiting, taking turns, etc, etc, etc. How about that? What if we stopped complaining for a minute and started REALLY paying attention to the things we want to see more of? What if we put ALL THE GOOD STUFF on social media for everyone to see? What would happen then? We cannot change the world overnight. It's pretty clear. But we can have a change of hearts in our own homes and classrooms. Let's do it, okay? You and me and the people we know. 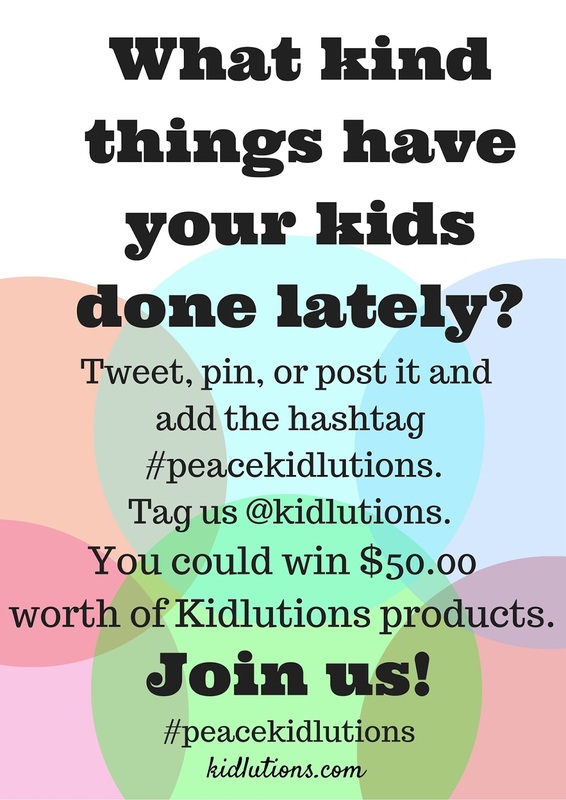 Hashtag your good stuff with #peacekidlutions and tag us @kidlutions! I'll be on the look-out for it! I'll be watching closely. 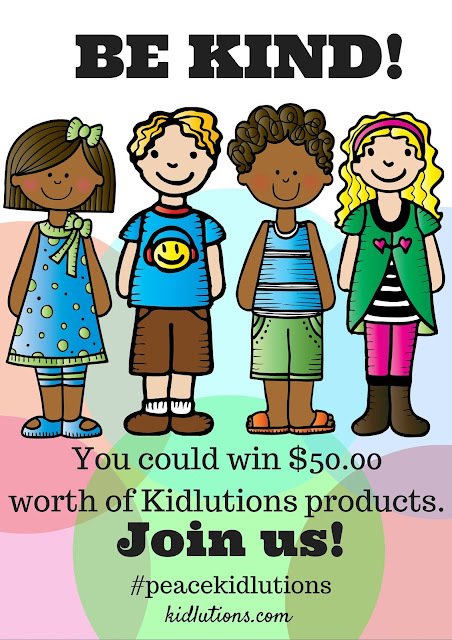 On December 1st, I want to reward one random winner with a $50 gift coupon towards any purchase in our Kidlutions Store. The more you tweet, pin or facebook, the more chances you have to win! 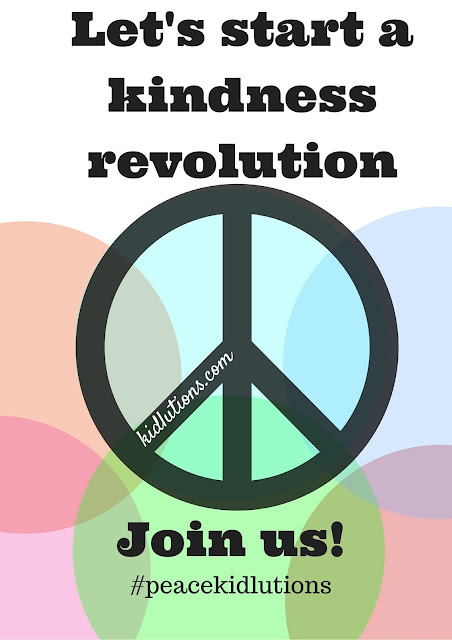 What can your family do to be kind? Hmmmmmmmmmm, I can hardly wait to see what you come up with! 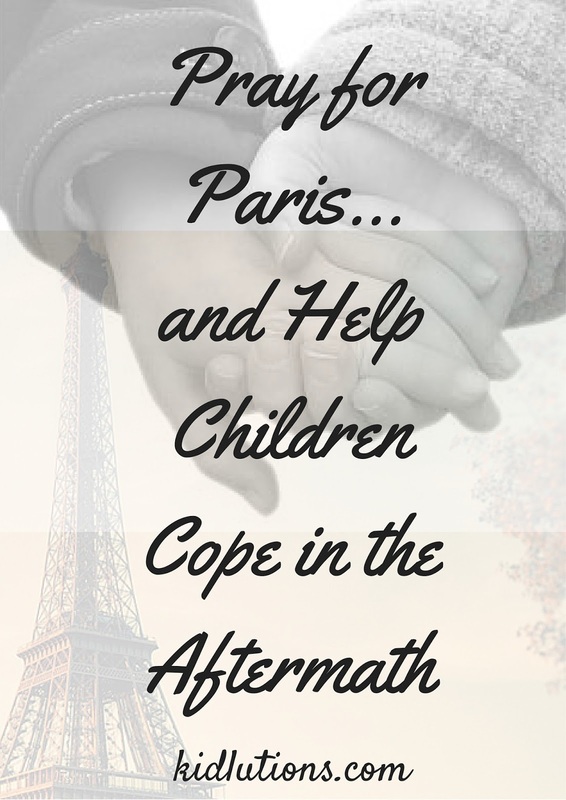 When news of Paris first broke, we put up a post to help you help kids deal with the aftermath. If you missed it, you can read our tips for helping kids HERE.